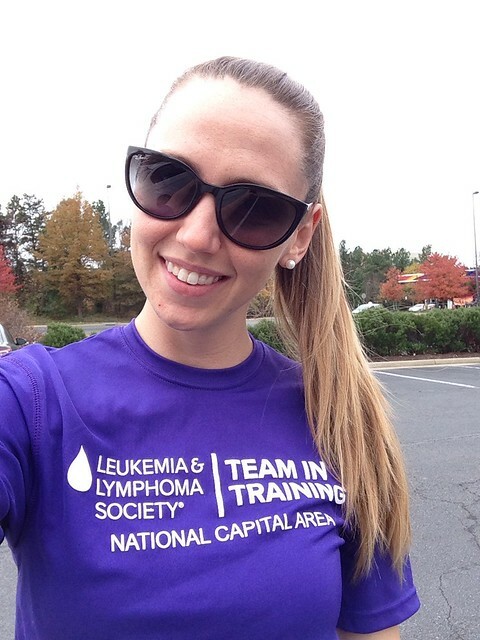 Reston Style: wear your TNT shirt day! wear your TNT shirt day! I had planned on breaking out the camera, tripod, and remote during lunch today and doing this as a proper outfit post, but I just got too busy! Today is wear your TNT shirt day! Basically, we all rock the purple to spread the mission to cure blood cancer! Through our facebook group, I still feel the LOVE from my fall TNT tri team, and I can't wait to kick off the Nike Women's Half training with my amazing team. It's going to be so much fun sharing all the fun TNT events with friends and family! The Nike Women's Half was so much fun last year, but my mom said it best - it was lonely being there, surrounded by TONS of women in purple running for TNT!